Do we Need to Re-examine the History of Humanitarian Aid? I recently came across an article about the Ottoman Empire’s aid to Ireland during the great Potato Famine[i] in the 1840s. The article points out that the Ottoman sultan, Sultan Khaleefah Abdul-Majid I declared his intention to send £10,000 to aid Ireland’s farmers. However, the British did not like this idea and even forced the ships that had food and other aid to take a diversion, before they could reach Ireland. This little known fact in history not only challenges our assumption about Humanitarian aid’s origins – it is assumed that World War I was the precursor to global humanitarian aid, as we know it – and also challenges us to re-think ideas of cooperation between ‘nations,’ before ‘nation-states’ emerged. This inspiring story of aid from a Muslim country to a predominantly Catholic nation is not only a great example of ecnumenism in history, but also an example of how creatively people in the past (and in the present day, as well) think of charity as a great leveler between people. Charity can not only expand boundaries of cooperation, build goodwill; but also aid in ‘soft-power’ as we know it. With this example, one is forced to ask: are our ideas of the evolution of international humanitarianism in the West – in particular, in the development of Red Cross Movement in the 19th century – in need of revision? Second, a related question: Do we also need to re-think the supposed benefits of this ‘aid,’ and question whether it is beneficial, in all cases? In my own research on religious and ethnic based giving in the U.S., I have seen examples of what Amy Singer in her book Charity in Islamic Societies (2008) has called a ‘Mixed-economy of charity,’ meaning a collaboration between wealthy individuals, government as well as groups of organizations or NGOs addressing specific issues. Private Foundations have become important, especially in the modern era, with the rise of mega-millionaires and billionaires, who have enormous amounts of disposable incomes. Bill and Melinda Gates Foundation, Ford Foundation and others like these have contributed enormously to addressing issues of global health, poverty and education. While their impact is also questioned by those who call into question the manner in which they work, the power-relations between them and the local governments/ recipients; it is an empirical reality that they have an impact, which for the most part is helping address some key challenges in these regions. However, this narrative is clearly one-sided and reinforces our stereotypes of the ‘under-developed,’ third-world, in need of constant attention and ‘help,’ from the West. While true to a limited extent, this narrative of ‘development,’ assistance does not take into account the local efforts, resources and strategies that are being deployed by local organizations and foundations in the countries where they operate. 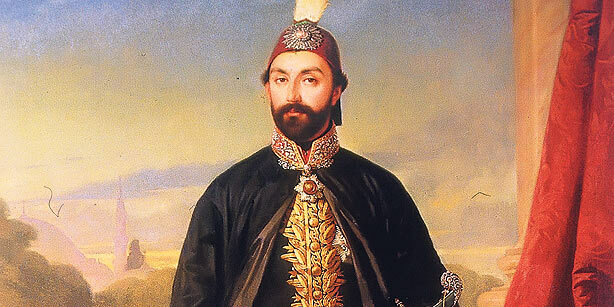 Can this example of Ottoman generosity in the 19th century help us re-think this narrative? We are certainly living in an inter-connected world, where flow of capital, people and ideas is truly global. But this globalized view of the world does put in place certain dynamics of power and discourses of how and who needs ‘help,’ that can skew the ‘reality,’ of what is going on, in our world. As critical theorists like Arturo Escobar in Encountering Development (1996) and others have pointed out, this ‘development narrative,’ needs a close examination. I would suggest that we re-examine this narrative with the perspective of those who are at the ‘receiving end,’ of the beneficence or generosity, rather than the one who is doing the donating. This discourse, Escobar argues has led to the ‘debt crisis, massive underdevelopment and impoverishment, untold exploitation and oppression.’ (p.4). While I do not share his pessimism fully, I do think that we need to re-think the amount of ‘good,’ that discourse of aid, development etc. The promise of aid must be measured in real terms, in terms of the impacts that it has had on the people it supposedly serves. Finally, on a related note, I think a better understanding of faith-based giving can also help us tackle some of the assumptions we have about what this form of giving can and cannot do. While it is preposterous to assume that faith-based giving can ‘fix all our problems,’ it would be imprudent to also shut it out of the public sphere, for fear of contaminating the ‘secular,’ public sphere with religious values. Given that our world is witnessing a ‘return to religion,’ as Jonathan Benthall has called it; with greater religious symbolism in the public sphere, it would be wise to accept this reality and manage the consequences of how this philanthropy can play out. As regards Islamic philanthropy, while one Caliphate in the Middle East (ISIS) claims to be ‘Islamic,’ yet, commits acts that are clearly anti-Islamic in spirit and form; there is a much better example in the Ottoman Empire, which did allow for the creative and productive use of charity and philanthropy. While by no means perfect, it did follow many of the common-sense principles that made life liveable for most of its citizens. A fact well attested to by scholars and beneficiaries of the aid to Ireland. Singer, A (2008). Charity in Islamic Societies. Cambridge University Press. Author Sabith KhanPosted on June 18, 2015 Categories Catholicism, Ireland, islam, philanthropy, Turkish philanthropyTags Charity, history, Ireland, turkeyLeave a comment on Do we Need to Re-examine the History of Humanitarian Aid?